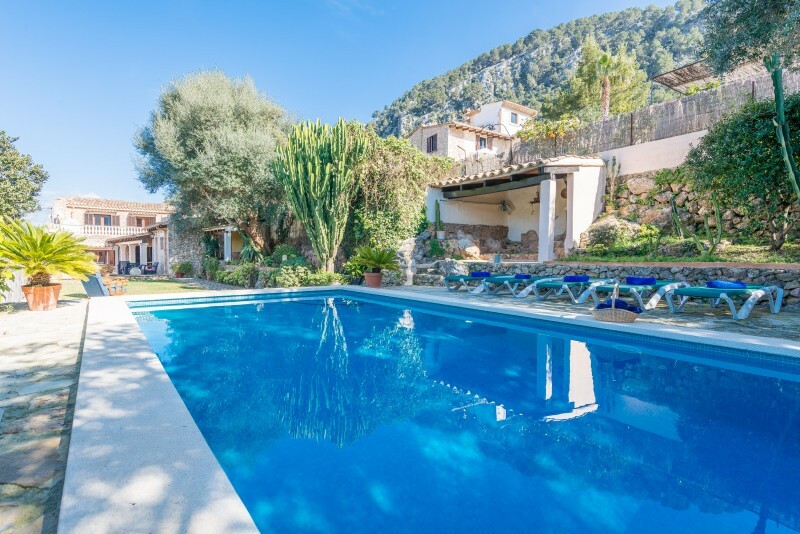 Welcome to this beautiful house with magnificent views of the Tramuntana, on the outskirts of Pollença. It can accommodate 10+1 people. The property counts with large gardens, a beautiful and relaxig pool area with chlorine swimming pool of 9.5 x 4.5 m with a depth ranging from 0.9 to 2.1 m, 3 terraces; two of them furnished, one fully equipped porch with fixed barbecue to spend a pleasant summer evenings, and beautiful views of nature. The house of 260 m2 is distributed over 2 floors. It has 5 bedrooms; three in the ground floor (two with two single beds each and one with double bed and en suite bathroom with whirlpool); and two in the souterraine (one with two single beds and one with double bed and en suite bathroom with shower).There is a folded bed for the extra pax. All bedrooms have air conditioning. 2 cots and 2 high chairs are available on request. In addition to the two en suite bathrooms, there are two more bathrooms on the ground floor; one with shower and bathtub and one toilet. The cozy lounge is equipped with two sofas, TV-Sat, a coffee table and a fireplace. There is a dining area with a table and chairs. The independent kitchen with vitro stove has all the cooking utensils. A washing machine, iron and ironing board are also available. The house offers oil central heating. 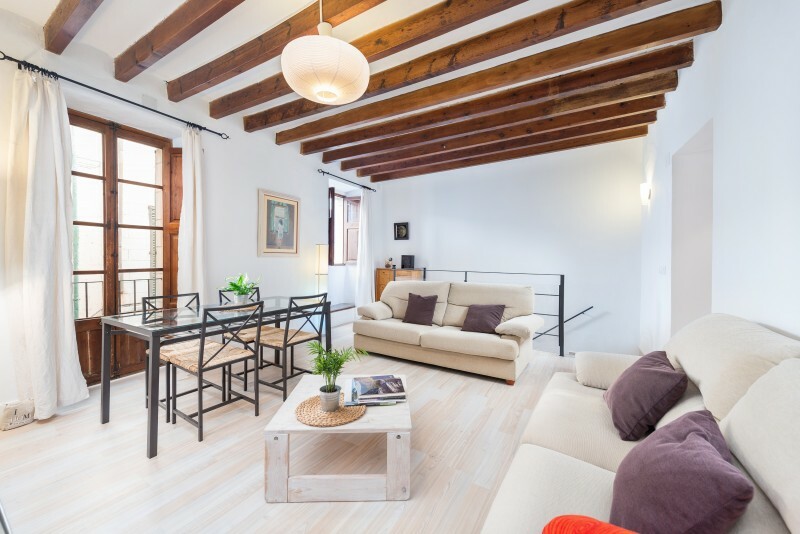 The location of this property is ideal and offers a variety of options to enjoy your vacation. It is important to mention the privacy and tranquility offered by the property. 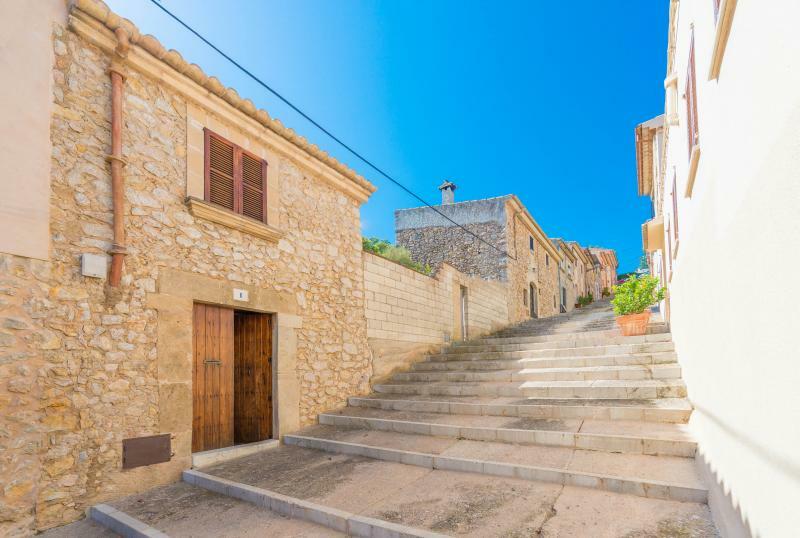 It is located on the outskirts of Pollença, near the entrance to the Serra de Tramuntana. 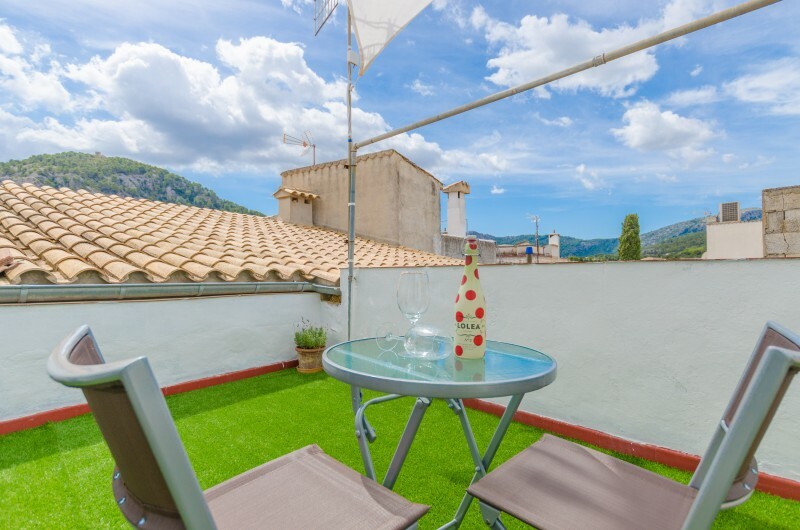 At the same time, in the village of Pollença offers all the services needed during your stay. You can visit the chapel of Calvari (you have to climb a total of 365 steps, one for every day of the year, to reach it) or just stroll throught the beautiful cobblestone streets. This area is perfect for hiking, walking or cycling. The nearest sandy beach is the Port de Pollença but we recommend you visit also Cala Boquer, Cala de Sant Vicenç, Formentor and Playa d'Escorca. Pets are welcome in the property. No events permitted on the property. Outdoor parking for 4 cars. The changeover day is on Saturday from 15/06 to 31/08. This is a gorgeous place, with a great pool, several excellent outdoor areas and loads of space. Its far too dangerous to walk into Pollença which is a real shame, as it would otherwise be 5 stars. We had 2 families and it was so nice to be able to divide us across 2 levels so we each had our own space. They provided 2 cots & 2 high chairs which was great. The pool, whilst not entirely fenced off, was down 3 flights of stairs and through a gate so it was sufficiently separated for our 4 kids under 3. Would happily come back again - thank you for having us! !